The Classroom Package is designed to give you the flexibility to lead a session over the entire LEAD NOW! program or break down the modules to only instruct on those skills you want to cover. The materials can accommodate both on-site and virtual training. The complete mini-video modules, gems, lessons, and tips have been mapped to short discussion starters and learning aids. 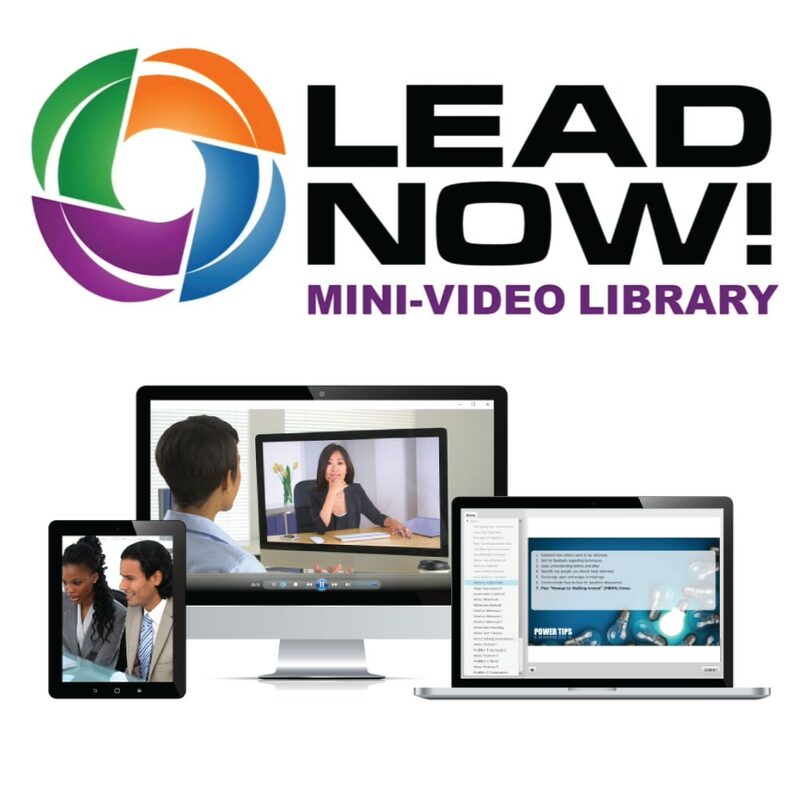 Build a program with the complete set of tools and resources that come with each DVD or USB. DVD or USB both come equipped with a full menu for easy identification and use of all the materials in the Classroom Package. Choose the DVD or USB based on your organization's training and technological needs. Facilitator's Notes offer step-by-step assistance with sample agendas, exercises to engage learners, and activities to offer learners the opportunity to practice their new leadership skills. Each section has clips identified for use, along with time estimates. Participant Worksheets are the companion to the Facilitator's Notes and will enhance classroom training sessions. Learners will build their own development plans, record their thoughts to reflection questions, and take notes during small group activities. Slide Deck templates make delivering the Classroom Package simple. There are slides for each module and built-in reminders to prompt activities. Use all or a few of the slides to customize your training session. Dimension Survey results will identify which competencies to work on first. It uses a short and easy ranking system to show which dimensions need development. The Dimension Survey can also be used before a classroom session to pinpoint which dimensions to cover. Desk References are print-ready PDFs that can be given as a job aid during your classroom session. Reinforcement Templates will help you ensure the learning that happens in your classroom is prolonged and implemented on the job. These tools provides you with email templates and suggested follow-up processes.